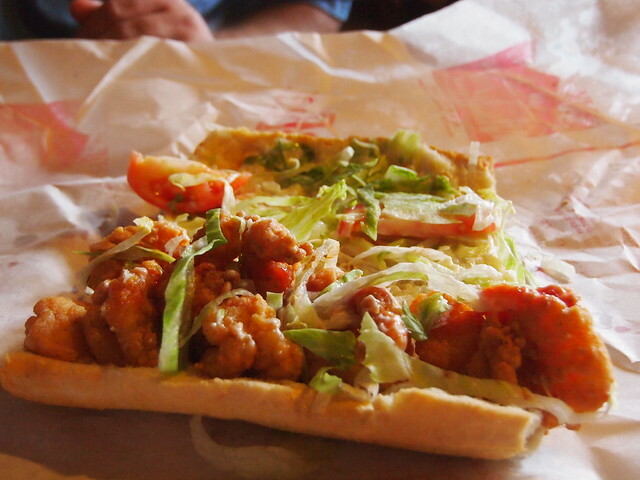 When we visit Louisiana, we’re always on the hunt for some good Cajun food, whether that be red beans and rice or a Po Boy. If you’re a fan of the Po Boy (or Poor Boy) and in the Lafayette area, you will definitely want to make a stop at the Olde Tyme Grocery. They specialize in poor boys. 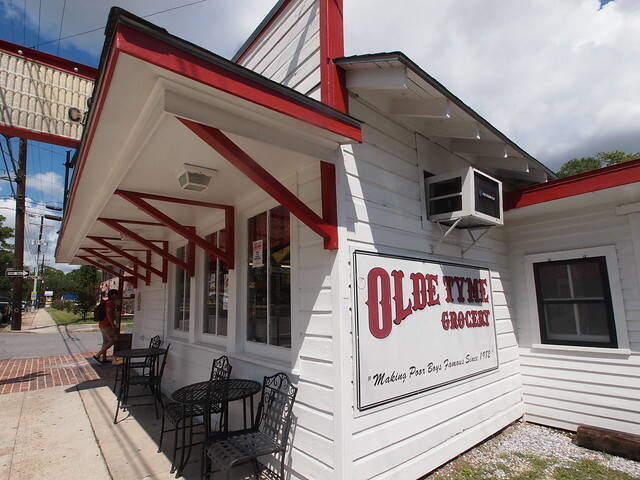 The Olde Tyme Grocery opened in 1982 and is set up in a grocery store/deli style with a seating area in a separate room as well as a patio. It is located near the University of Louisiana – Lafayette as well, so not only is it busy because it’s so popular with the locals, but it’s busy because the college is so close as well. You have several poor boys to choose from and you order at the meat counter. Drinks, chips and other selections are available from the store area and you pay for it all at the register. Once you’ve got your food, you can take it to go or have a seat in the dining area. There are several tables and a bar area, but don’t be surprised if you have to wait a bit. There’s probably ten tables or so plus the bar area and patio, so seating can be limited if it’s really busy. When we visited, it was quite busy but a table opened up quickly. We had two half poor boys, one was meatball and the other was shrimp. Our son had the Kid’s Slice Bread Ham and Cheese (a ham and cheese sandwich). Both poor boys were fresh, hot and absolutely delicious. Because they are so busy with lines nearly out the front door and the phone-ringing non-stop for to go orders, they are very efficient and fast. They turn out poor boys quickly, but quality is not sacrificed. The dining area is very clean despite the busy atmosphere. There are no servers and everything is pretty much self-serve. Prices are very good with whole sandwiches being $7.95 for meats and $8.95 for seafood sandwiches. Whole sandwiches are quite large; think Subway foot long size. The half sandwiches are $5.95 for meats and $6.50 for shrimp and catfish and $7.50 for oysters. The kids ham and cheese was $2.95. They also offer meat combos and salads. You can view their full menu online at OldeTymeGrocery.com. 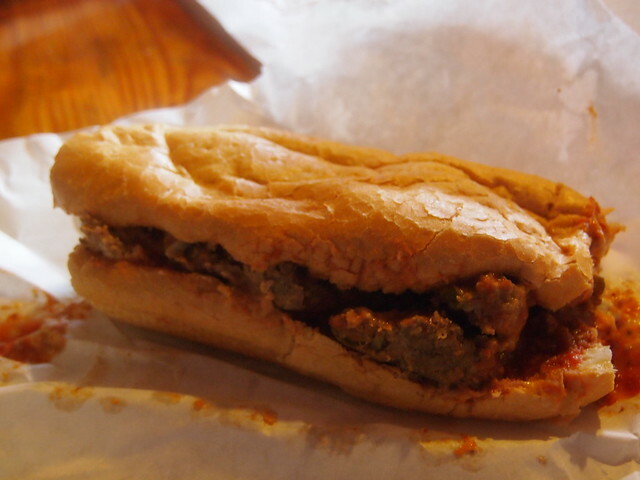 If we’re ever back in Lafayette, we’ll definitely be back for one of these excellent poor boys.